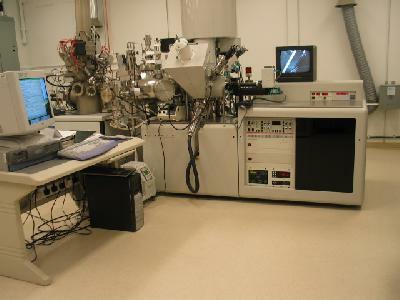 The AXIS Ultra is a high sensitivity multi-technique photoelectron spectrometer capable of surface mapping to provide lateral distribution maps for elemental and chemical species at the surface. Hemispherical analyzer and mirror for XPS spectroscopy and imaging. Separate chamber for Temperature Programmed Desorption (TPD) (LN2 to 600C) equipped with RF mass-analyzer.